We believe our success is based on one simple fact; we truly listen to what our customers want. But they just don’t like the hassle and wasted time of the traditional car buying experience. Our “BEST PRICE FIRST” is clearly displayed on each vehicle for everyone to see and to provide you with a “fast, fair and friendly” buying experience. This price is based on the vehicle’s equipment, age in inventory, availability, and demand. We know our “BEST PRICE FIRST” is highly competitive because we continually research and monitor the actual sale prices of vehicles throughout the greater Hartford area. Also, we think that it’s important for you to know that we are paid on volume and customer satisfaction, not on a commission that is based on how much you pay for a vehicle. So, our job is to find you the vehicle that best fits your needs. Ask The Dealer If They Will Give You Their Best Price, Up Front Like We Do. Are Their Product Specialists Working On A Sales Commision Or A Salary? At Liberty Honda our product specialists are on a salary, so their only interest is getting you the car that’s right for you… Not making a commission. Are They Running Back And Forth To “See A Manager” For A Better Price? When the typical salesperson leaves their office to go see a manager, both are trying to figure out how to make the most profit on you, while still being able to sell you a vehicle. 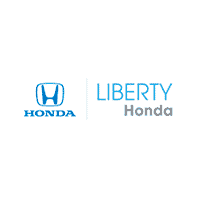 At Liberty Honda, our objective is to provide you the very best price up front with zero hassle and zero focus on how much we make. So there is no running back and forth. “Best Price First” also makes the trade-in process easier. Instead of a guessing game, we’ll show you exactly what your vehicle is worth, and how we’ve arrived at that figure. We’ll use this honest assessment to purchase your vehicle, even if you don’t buy one of ours. And we guarantee a minimum of $500 for your trade! We’re so confident that you’ll love our Best Price First pricing that we offer a 72-Hour Satisfaction Guarantee. If for any reason you’re unsatisfied with your purchase, we’ll take it back within 72 hours, no questions asked. And help you to find another vehicle that suits your needs. Returned vehicles must be damage-free and have less than 300 miles. Use our APP (available on The App Store or Google Play) to earn rewards points whenever you purchase a new vehicle or have your vehicle serviced with us. Redeem your points for a discount on service & parts or a new vehicle purchase. We want you to be able to drive your vehicle worry-free. That’s why we offer our curated range of protection programs. Free Roadside Assistance – 24/7 support so you can travel anywhere with confidence. 90 Day Dent Guarantee – Accidents happen. We’ll fix any dents received within the first 90 days of your purchase. So you can go on driving happy. PassKey – Losing your car keys is not only a hassle, but it’s also expensive. In the event of loss or theft, Passkey will replace every key on your key ring for a whole year. Our customers wanted sensible, honest financing with no surprises, so we are giving you just that. We’re as open about rates and terms as we are about our pricing. We respect your time and we’ll spell everything out right from the start. Keep your Peace of Mind with our suite of lease protection offerings. Ask The Dealer If They Will Give You A Monthly Payment Estimate Without Giving You A Credit Application. so you have the flexibility to come in at your convenience. that are set in stone. You’ll never be charged more for service than what is agreed upon before work starts. Our transparent no-haggle system carries through to our service department, where our service menus make it easy to keep your vehicle running like new. We guarantee ALL of our work. We stand behind you and the work we do on your vehicle. Please see service advisor for more information. Liberty Honda makes it easy to save money on car washes. When you service your vehicle here, you get a complimentary car wash each time. LIBERTY Collision Center didn’t become the most respected and dependable Auto Body shop in Hartford by accident. When it comes to expert body work and collision repair, we’ve offered unparalleled quality, convenience, and customer satisfaction for over 40 years. We work with all insurance companies and offer free estimates.